In a galaxy filled with scoundrels and miscreants, everyone seeks treasure and riches! 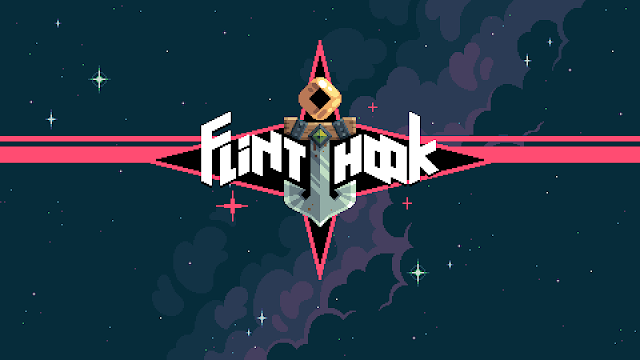 But when a malevolent treasure hunter hatches a sinister plan to unleash an ancient evil to threaten the cosmos itself, Flinthook, the galaxy's smallest but toughest pirate zips into action! Be ready to jump, zip and blast around the meanest fleets the galaxy has to offer! Whether using time-slowing powers or his trusty Blasma Pistol, Flinthook is ready to take on all pirates, steal treasure and save the galaxy itself! Flinthook was an absolute gem, and an equal surprise. [...] the resulting control scheme is enormously intuitive — within seconds of picking up Flinthook, the controls felt responsive and comfortable, like we'd been playing the game for years. With Flinthook, I feel that Tribute might be on the cusp of success like they've never seen before. 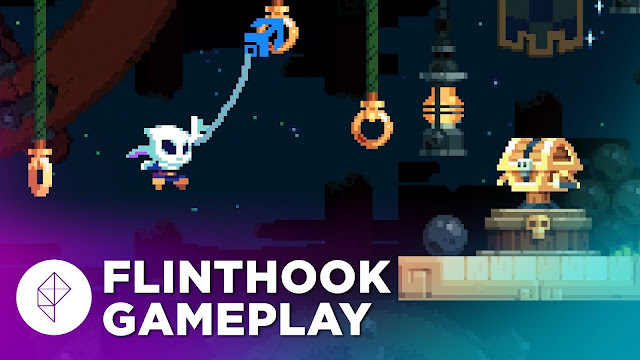 Flinthook, a beautiful and fast-paced action game built around a grappling hook, was my favorite game at PAX East last week. It only took a few moments before I was whipping around the room and collecting treasure.